Here, homeowners are sharing their favorite laundry tips -- including how to remove stains, the best DIY laundry products, reviews of popular laundry products (and washing machines & dryers), and how to fold anything (sheets, towels, napkins, shirts). 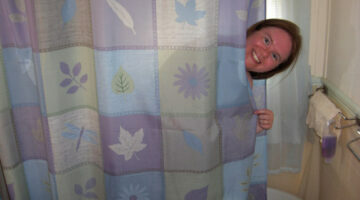 Want to know how to dry a bed sheet fast?… I’ve found it! 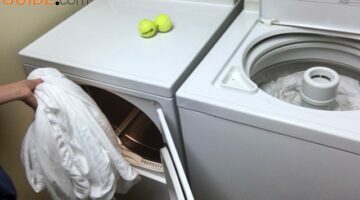 I did an experiment to calculate the actual time spent drying, untangling, re-separating, and re-drying bed sheets using each of the following methods: 1) Put all sheets into the dryer at one time, 2) Put wool dryer balls / tennis balls in with the sheets, 3) Put a dry towel in with the sheets, 4) Put only one bed sheet at a time in the dryer. See which of these methods is the fastest way to dry bed sheets! Make Your Bed Quickly Like Hotels Do – Here’s How To Do Triple Sheeting And Eliminate The Need For A Duvet Cover! I’ve had a problem with the underarms of my white shirts turning yellow for years. If you want to remove sweat stains naturally, here are 3 things that have worked for me. Also, I’ve found 2 great ways to prevent sweat stains in the first place! 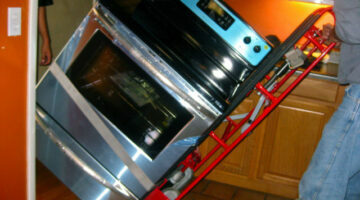 Buying a home warranty or appliance warranty to protect the systems & appliances in your house? Our friends rave about theirs! I’ve listed the pros & cons. I tried 3 chemical-free cleaning products: A Dishwasher Disk and Laundry Balls that each use bio ceramic cleaning beads instead of harsh detergents. Also, scented dryer balls. Want to know how to clean a sponge & remove 99.9% of bacteria? 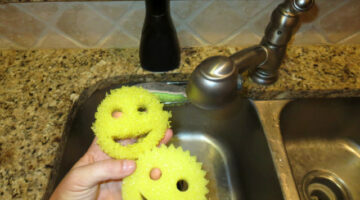 Facts about cleaning sponges in the microwave, dishwasher, with vinegar and with bleach. Here are 5 home recipes to make your own natural fabric softener, plus 3 great tips for removing static cling in the dryer, and 4 ways to remove static cling on clothes as you’re wearing them! 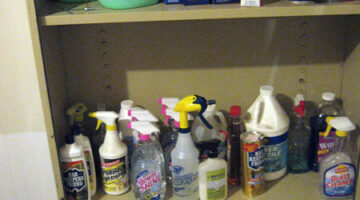 The advantages of using oxygen bleach products over chlorine bleach products far outweigh the disadvantages. Oxygen bleach is environmentally safe and non-toxic — reasons alone to switch from chlorine bleach to oxygen bleach. 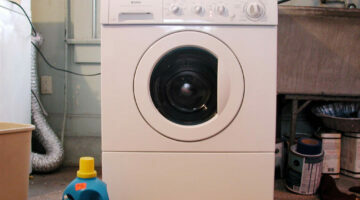 See, point-by-point, why I — and lots of other people — prefer front loading washing machines. I’ve highlighted 7 key reasons here. 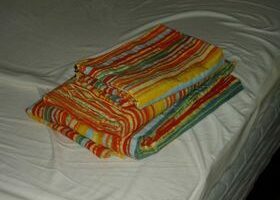 How To Fold Fitted Sheets… And More! How To Deep Clean Your House – Inside And Out! Here are a few tips from a professional housecleaner to help you deep clean your home. Doing all of these things will give your home a thorough deep cleaning and get it in the proper condition for selling, moving in, or moving out. Got t-shirts? We all do… Some — like those from concerts & sporting events — have never even been worn at all. They’re simply stored away as mementos or souvenirs. 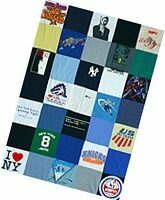 Now there’s a company that will turn all of your precious old t-shirts into a one-of-a-kind custom quilt or duvet cover! Tips and instructions for learning how to fold ANYTHING… from folding towels and napkins to sheets, shirts, sweaters, and pants!